Highly Recommend written by mobile Interesting packaging. Very helpful seller, product looks good. Received in good order. Haven't used yet, cannot comment further. Repeat buy. Great item, does not feel hot and not noisy. waterproof. Fast delivery. Recommended. When will you have any promotion again? Hi we do not have any planning as yet. Hi yes, we have updated the stock quantity. May I chk w u when will e Waterproof Cooling & Breathable Queen size mattress protector & Waterproof Cooling Pillow protector be restock? Thx a million! Hi Emiko, we will check the stock level and update accordingly. Thanks! May I ask? Is this easy fix to bed? Hi Yes, it is pretty simple and straightforward. You can give us a call if you face any difficulties. Thanks!! This protecter is can easy to set up?? Hi yes, it is easy to set up. Thanks! Hi Ann, may I know are you referring to Qoo10 60 off $10 coupon? Hi Ann, I did a test and found no issue, I can applied it successfully under my coupon . 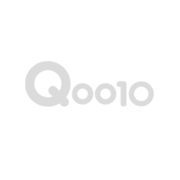 You may like to check with qoo10 on this issue as we do not have the access and rights to check your account details. Thanks! !